A Sudanese man who was refused leave to enter the United Kingdom to join his British wife and children has failed in an appeal against the decision. The Inner House of the Court of Session ruled that Sami Ahmed had failed to show an error of law on the part of the First-tier Tribunal in dismissing his appeal against the decision of the Secretary of State for the Home Department to refuse him entry clearance, or the Upper Tribunal in refusing permission to appeal to the Court of Session. 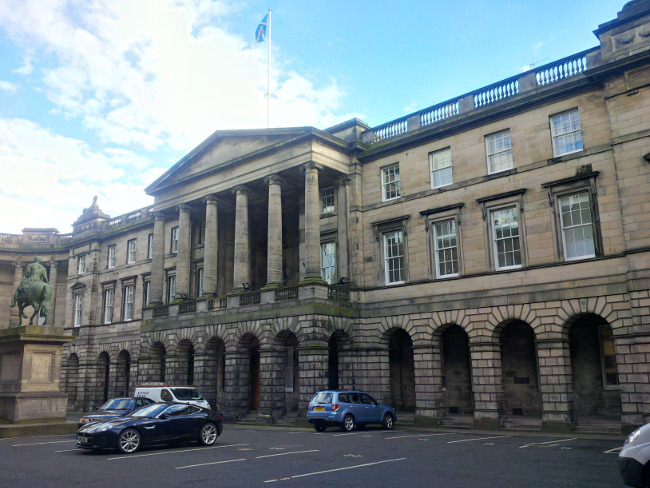 Lord Drummond Young, Lady Clark of Calton and Lord Pentland upheld a decision of the Lord Ordinary to refuse permission for judicial review proceedings to proceed on the ground that there were “no real prospects of success”. The court heard that in 2014 Mr Ahmed, 41, was refused entry to the UK as the partner of his wife Dalia Yassein on the basis that the financial requirements of the Immigration Rules could not be met, as he was only doing casual work since losing his job as an advertisement designer for a newspaper in Sudan and his wife was in receipt of state benefits in the UK. The petitioner had met his wife at university in Sudan in 2003 and the couple married in 2005 before having three children now aged 11, seven and four. His wife and children were all British citizens and currently lived in the UK, with the two eldest children in full-time education in Edinburgh and the youngest in nursery. They had made four visits to Sudan, paid for by her uncle, and when in the UK they kept in contact with the petitioner by Skype or phone. Mr Ahmed accepted that he could not meet the financial requirements in the Immigration Rules, but he appealed to the First Tier Tribunal against the refusal of entry clearance. The tribunal judge dismissed the appeal both under the Immigration Rules and under Article 8 of the European Convention on Human Rights, having considered the best interests of the children and noted that the two elder children had been born in Sudan, and that the mother required an interpreter in court and Arabic was probably the language spoken at home. In considering whether it would be disproportionate to refuse the application, the FTT also considered the “maintenance of effective immigration control”, which was in the “public interest”, and the fact the petitioner and his wife were not financially independent and would therefore be “a burden on the taxpayer”. She considered that it was the mother’s “choice” whether to remain in the UK without the petitioner or to go to Sudan with the children to live there as a family, adding that there “were no exceptional circumstances or compassionate and compelling factors” in the case which would lead to the application being allowed outside the rules. In seeking permission to appeal to the Upper Tribunal and in the petition for judicial review, the central contention for the petitioner was that it was “unreasonable” to expect his wife as a British parent and their British children to relocate to another country, but his applications were refused. Before the Inner House counsel for the petitioner Mark Lindsay QC argued that the Lord Ordinary’s decision was “wrong in law” and that the error was such that there was a “compelling reason” for permitting an appeal to the Upper Tribunal. Again it was submitted that because Mr Ahmed’s wife and children were British, it would be unreasonable to expect them to move to Sudan to be with him. The tribunals assumed that the family could be reunited in Sudan, but that was an error in view of the British and EU citizenship of the petitioner’s wife and children – an error that “vitiated their decisions” and demonstrated a real prospect of success, which was a “compelling reason” for allowing the judicial review to proceed. However, the judges sided with the respondent, who was represented by Chris Pirie. Delivering the opinion of the court, Lord Drummond Young said: “In our opinion the petitioner has failed to demonstrate any error of law on the part of either the First-tier Tribunal or the Upper Tribunal. The critical issue is the assessment of proportionality in respect of the right to family life of the petitioner and his family, in accordance with Article 8 of the European Convention on Human Rights. Lord Drummond Young continued: “As we have indicated, we consider that the reasoning of the First-tier Tribunal cannot be faulted, and the same applies to the reasoning of the Upper Tribunal in refusing permission to appeal against that decision and to the decision of the Lord Ordinary in refusing permission to proceed with the petition to the Court of Session. In our opinion no arguable error of law is demonstrated. The judges concluded: “In addition, if permission to proceed with the petition is to be granted, it is necessary to satisfy the second appeals test…that either the petition raises an important point of principle or practice or that there is a compelling reason for permitting an appeal or petition to proceed and which demonstrated a realistic prospect of success. “For the reasons that we have already given we do not consider that any appeal against the decision of the First-tier Tribunal or any proceedings in the Court of Session to challenge the decisions of the Tribunals would have any realistic prospect of success. On that basis alone the second appeals test is not satisfied.